Graduated from the University of Singapore with a Bachelor of Architecture and registered with the Board of Architects. He is also a member of the Royal Institute of British Architects. As a Director and representative of the younger group of Architects in the firm, his responsibilities lie as Director in charge of a variety of projects. His portfolio includes Project Architect for ‘Samsung Hub’ at 3 Church Street, the Jurong Town Corporation Headquarters called ‘The Summit’, Merchant Court Hotel by the Singapore River, the Singapore Tourism Board Headquarters Building at Orchard Spring Lane, Odeon Towers at the site of the former Odeon Cinema and Scotts Shopping Centre / Ascott Serviced Apartments at Scotts Road. 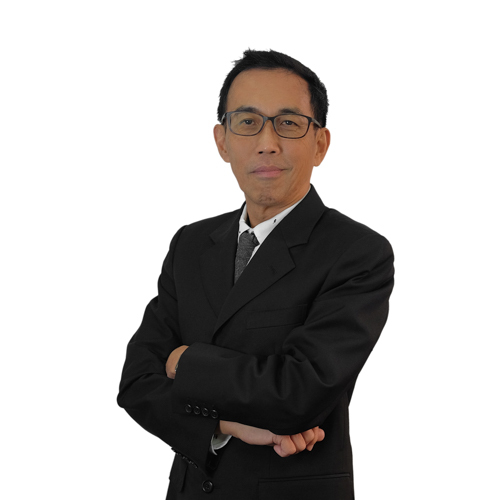 His professional record involves a long affiliation with the Singapore Institute of Architects and had served as a Council Member. He was also responsible for obtaining ISO Certificatin for the firm in 1993, as well as conversion to ISO 9001:2000 standards. Apart from his professional portfolios, he has also been actively involved in community service projects. He has been a member of the Rotary Club of Raffles City since 2002. During this time, he has served as their Director for Service to New Generations from 2002 to 2004, working with the younger generations om community service projects. He has also served as the Club’s Honorary Secretary from 2004 to 2006. (Rotary CLubs are a global network of business and professional leaders dedicated to high ethical values and committed to service the community.